A limited first edition of the grandparents book Pass it On is now available from the Parish Repository at €10. All proceeds are for the Church Renovation Fund. 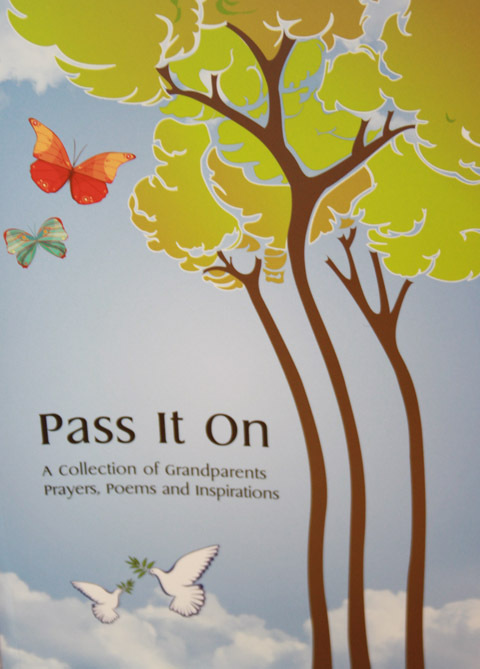 It is a collection of Grandparents Prayers, Poems and Inspirations. Bulk orders from overseas are welcome, please contact info@kingscourtparish.ie for further details and rates. The book was edited by Anne Burns of the Parish Congress Committee and produced by another parishioner, Patricia O’Reilly of Nolka design www.nolka.com A thought from the book…….. If you can perceive it in your head and believe it in your heart, the you can achieve it!